No self-respecting artist would come to Portland, or even Oregon without visiting Keller Auditorium, which is why Keller Auditorium is very proud to announce that The Lightning Thief will be performing on Tuesday 7th May 2019 – playing their world-famous hits and driving fans wild! There's nothing quite like seeing your favorite artist on stage, feeling the heat and the buzz of the crowd and becoming part of something bigger for one unforgettable moment in time… Snap up your tickets for this must-see (and soon to be sell-out) show now and get ready to dance like nobody's watching! Treat yourself to something special – you're absolutely worth it! Is your mind and body aching for some release and relaxation? Nothing beats the potency of this happy pill, a remedy and relief that can only be felt after spending moments at Concert. Oregon is one of the privileged states to experience the power of pure entertainment headed this way in Portland at the Keller Auditorium. The Lightning Thief is reputed to induce good vibes and great times, especially when enjoyed with the company of friends, mates, family, and loved ones. This so-called 'miracle cure' belong only to those bold enough to book their tickets early. 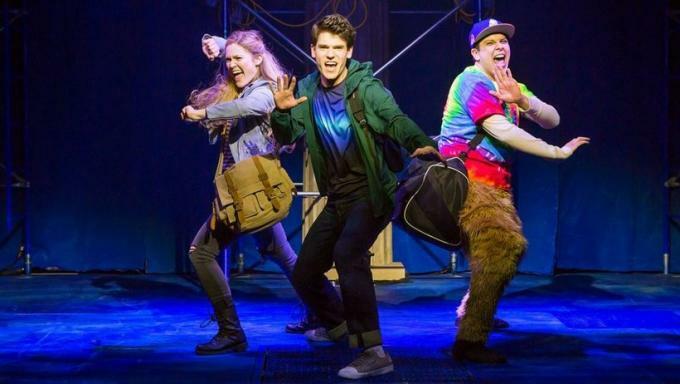 So jot this down on your planner, you've got an appointment with The Lightning Thief on Tuesday 7th May 2019 at the Keller Auditorium, Portland. Grab this chance and get your tickets now!